We bring together the best networks, the best technology and the best people. Making connections, creating new possibilities. When we do all these things business grows, communities flourish and people get more out of life. That’s the difference we’re determined to make, every single day. 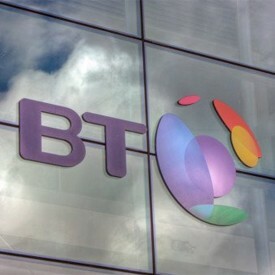 BT's chief sustainability officer Niall Dunne argues that scaling sustainability is only possible with collaboration. What does sustainability mean to you? To me, it means individuals, governments corporates and other organisations coming together to realise a better future for us all. But how do we make sure this aspiration is a shared one and not the sole preserve of scientists, governments and big business? The key is participation. Everyone should be considered stakeholders charged with improving the state of our planet. As well as needing political will, we need to harness business innovation and marry that with our knowledge of how to influence consumer behaviour so we encourage greater adoption of sustainable practices. Collaboration between these parties is critical if we are to realise real change. A better solution for the planet begins with imagining better solutions for the customer. Take the idea of connected living. Disruptive innovations, enabled by technology, are allowing people to lead better, more efficient lives. Look at Uber, ZipCar, Airbnb, Nest or PassivSystems. These companies are taking what’s “uncool” – thermostats, booking a car or finding a hotel – and making them aspirational. Consumers want to have these new “cool” technologies in their homes or on their favourites list. Just as important as creating smarter, innovative new products and services is the ability to translate innovation in the supply chain into competitive advantage. The £26m deal we signed with solar energy supplier UK Sustainable Energy to build the largest private UK solar farm will help power our Adastral Park research campus for the next 20 years. The solar farm is equivalent to around 40 football pitches, and contains more than 32,500 solar panels. When fully operational on a sunny day, it will produce 90% of site demand. This means that the renewable energy we use to power our R&D at Adastral Park is now as sustainable as some of the innovative communications solutions coming out of it. Some of these new ideas include helping fashion retailers to become more efficient, using fewer natural resources, while at the same time enhancing the customer experience. One example of this is Clientelling, a cloud based solution, which is helping retailers to have intimate, face-to-face interactions with customers without the need for them to drive into town. As technology and communications networks increase in size and energy intensity, decoupling carbon emissions and operational costs will become increasingly key to protecting the bottom-line, as will passing that value onto our customers in the form of new innovations which marry that creative expression and, yes, materialism, with sustainable living.